Have you seen the headlines lately? The news seems to be loaded with talk of new entitlement programs, federal spending projects, angry protesters, Obama talk, global elections, etc. Well, what's new? And most important, what does this mean for you? Behind the President's comfortable rhetoric and agreeable headlines about the failing economy lurks the powerful vote by global trade participants. That is, the depreciating US dollar has fallen to 14-month lows compared to a basket of foreign currencies. I must sound the alarm because in the end, we will pay. 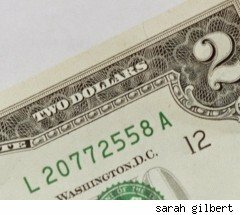 A falling dollar will lead to inflation, and the US consumer will gradually feel the effects.Now, some Washington elite may try to cloud this fact with brand-spanking-new spending projects to stall inflation, and in turn play a good political game so we vote them back into office to reseal the economic band-aid. However, the voice of market participants is one vote that is hard to manipulate. Foreign investors who trade currencies, commodities and assets act as voters in the global economy. Their hedging and speculation are votes that influence the value of our dollar, which is the base currency of the world. There are many reasons for the gradual fall of the US dollar. Recently, The Independent, of London broke a story about secret talks between Russia, China and several Gulf Arab states to devise a plan to trade oil in other currencies instead of the US dollar. The deadline for currency transition for oil is 2018, which makes this an important issue. In the meantime, as Sarah Palin mentioned in a Facebook note, "[this is] further proof of the need for energy independence", but most important is that, if this were to happen, the US dollar will be crushed by 2018. The countries accused of participating in these secret talks denied all allegations. But, it wouldn't be a secret anymore if say, Russia snitched on China. But, the markets looked at the fundamentals, and knew very well how to react. This Independent article sent fears rippling through the markets. Speculators fueled a rally in commodity prices and, in turn, the dollar was beaten down severely. Gold hit all time highs as investors fled in panic. Gold is a hedge for the US Dollar and fear is what pushed those hikes. The frenzy that took place on Wall Street this past week raised a red flag that sure is visible around the world. The problem with the US dollar is the increasing money supply that far exceeds global demand. It is clear that global participants are trying to rid themselves of the depreciating dollar, yet the Fed continues to print more, and DC politicians are calling for new spending. When domestic spending becomes exhausted, the American consumer will pay higher prices to balance the aftermath of the recession -- hence, the term inflation. For now, Asian and European Central Banks are trying foreign exchange intervention as their main monetary tool to prevent the US dollar from falling against their currency. The world relies heavily on the dollar as a base currency, but the WSJ article states that foreign intervention made little difference. A weak dollar helps with US exports, making domestic goods cheaper for foreigners, and thus balances out the world economy. This is a good thing for trade, but again, the US consumer will hurt in the long-term. One can argue that the increase in foreign investment will bring back the dollar to its value before the increase in money supply. For now, even foreign demand is low. This leaves many people anticipating the Fed's next move.